This weekend after a small break in the calendar, Team HRC MXGP Tim Gajser and Evgeny Bobryshev, will return aboard their CRF450RWs to South America for third round of MXGP in Patagonia, Argentina. 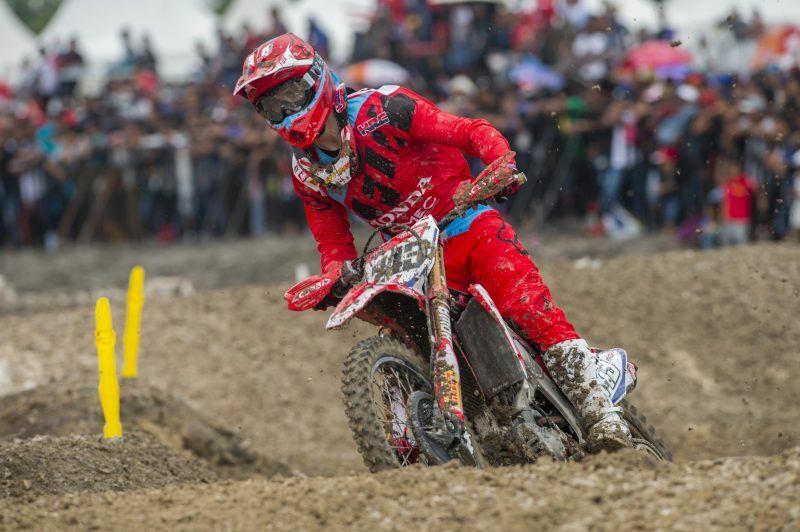 Gajser and Bobryshev come into Argentina hungry for improved results, after the Indonesian GP’s treacherous conditions left team HRC exhausted and wanting. The fast deterioration of the track forced Youthstream to cancel the MXGP second race, meaning they were unable to obtain the podium finish they had worked towards. Feeling fresh and optimistic heading into the weekend, both riders are a big fan of the smooth Argentinian track. Gajser will be looking to mirror his success from last year where he took the overall after a tremendous last minute battle across the finish line. Bobryshev, who narrowly missed out on a podium in the first race last year and enjoys the favourable conditions of the track has his eye on the podium. MXGP starts with Free Practice on Saturday 18th March with racing starting on Sunday 19th March. I have raced now in Argentina 3 weeks’ times and in my opinion, it is one of the one of the nicest tracks we have on the MXGP calendar so I am looking forward to going there. With having one weekend as a break between the last GP and Argentina this Is ideal as it gives me a chance to fully recover and re-charge my batteries so I can go for it. I have been happy to go back home and do some serious training and preparation heading into this weekend. Argentina is a good track and we are lucky to race there as it is also a really nice place. It is a long way to go but I have a good feeling when I go there. The atmosphere and the people here are amazing so I am feeling good heading into a weekend where there will hopefully be no rain so the track conditions will be more enjoyable. Argentina Is such a fantastic track, it is a great place to go too that is enjoyed by a very sizeable crowd as well as the riders. Hopefully we will have good conditions. The track is sandy and soft and produces some good racing. The boys been out practising on their CRF450RW’s and all has gone well in-between Indonesia and Argentina. We are looking forward to a good race and some very reasonable results.